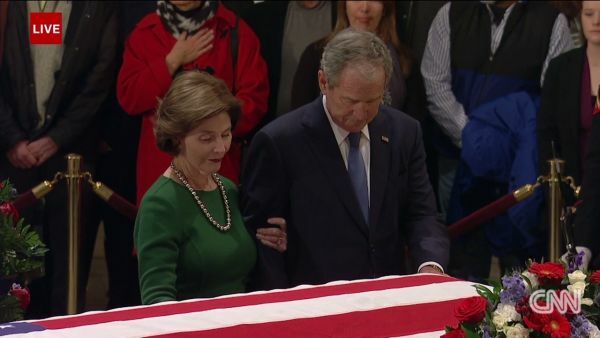 Former President George W. Bush and former first lady Laura Bush paid their respects to his late father, George H.W. Bush, who is lying in state in the Capitol Rotunda. After standing in front of his father’s casket, he walked over to a line of visitors and hugged and greeted them. His daughters Jenna Bush Hager and Barbara Bush, and his brother Jeb Bush also paid their respects. Sully, a Labrador who served as President George H.W. 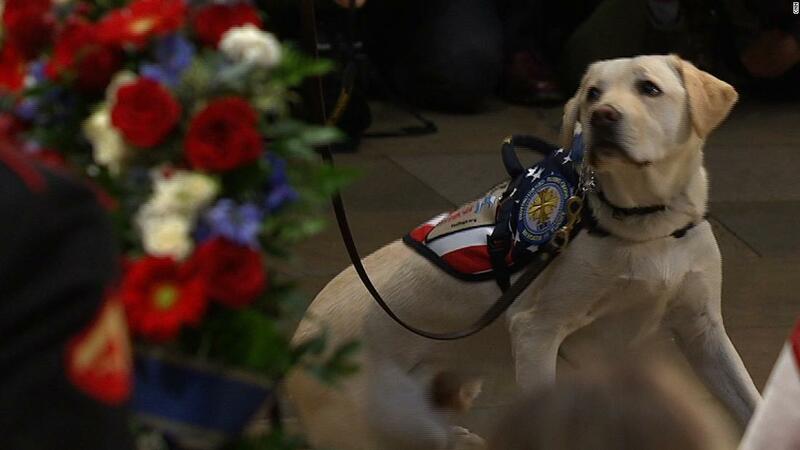 Bush’s service dog, visits the former President as he lies in state in the US Capitol Rotunda. Former “America’s Next Top Model” contestant Jael Strauss has died after a battle with breast cancer, according to an update posted to her official fundraising page on GoFundMe. Take a deep breath, everyone. We’ll get through this shocking revelation, this can’t-be-true moment, together. Meyer proclaimed Tuesday that he’s leaving Ohio State because of health issues, and that he’s done coaching. It’s the same thing he said eight years ago after walking away from Florida.